With summer coming, it’s time to think ahead about getting summer vehicles out of boat and RV storage and prepping them for outdoor fun. 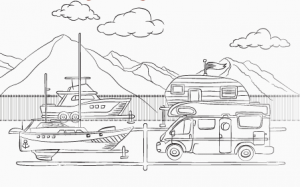 At Bargain Storage, we offer vehicle storage for almost any kind of vehicle, including boat and RV storage, as well as storage for campers, motorcycles, jet skis, and summer cars. We would like to offer our expert tips on “de-winterizing” your summer vehicles. 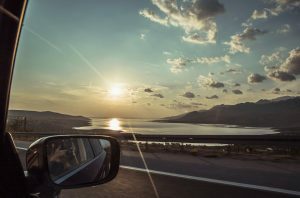 We begin with the general guidelines for any vehicle storage, and further down address the specifics of boats and other recreational vehicles. First, consult your owner’s manual. This is always the first place to check for instructions for your particular vehicle. Remove the cover and assess the vehicle’s condition. Inspect for fluid leaks and check the wires and hoses for cracks or any sign that an animal has been gnawing on them. Make sure clamps are tight. This is the time to check for any repairs needed. Next, focus on the mechanical systems. Check the fluids, including the coolant, power steering, brakes, gas, and oil. Check the belts, or re-install them if they were removed for winter storage. Lubricate components, and look for adequate pad on the brakes. Replace or connect the battery, but not before you check to see that it has a full charge. Check the cables and terminals for any sign of corrosion and clean if necessary. Check the brake and signal lights, replace the antenna and windshield wipers (if they were removed), and remove the rag or steel wool from the exhaust pipe, if one was added to keep debris and pests out prior to vehicle storage. Check the tires for the proper pressure and inspect them thoroughly for flat spots or bulges that could indicate damage. Clean the vehicle, including the windshield, windows, and hard surfaces. Spot clean and vacuum the upholstery to remove settled debris from its time in storage. Make sure your emergency kit is stocked and your spare tire is aired up. If all is well in your inspection, turn the vehicle on and give it several minutes to let the fuel circulate enough for a smooth idle. It may run rough at first, so take it easy on the first drive. 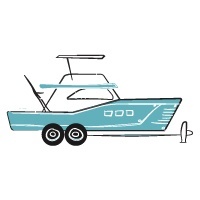 All of the tips above will apply to your boat and boat trailer during this process as well. In addition to those, here are a few expert tips specific to boats. Check for dents, scratches, and cracks. Check the screws and bolt fittings to make sure they are still properly tightened. Replace any electronic and mobile devices, such as radar displays, radios, and GPS units that were stored inside for the winter. Scrub the decks, if needed, and replace the bilge drain plug. Inspect the zincs and replace, if needed. Paint the bottom of the boat with anti-fouling paint, if needed. Check the bilge pump, the bilge circuit, and the automatic switch. If applicable to your boat, check the rubber bellows for dry rot. They should be replaced every 5 years. Gather the necessary boating safety equipment, including life jackets, throw cushions, a fire extinguisher (approved for your size boat), visual distress signals (such as flares), navigation lights (have white, red, and green replacements on hand), and the required bell or whistle, depending on the size of your boat. In addition to the guidelines above for vehicles, here are some tips for de-winterizing campers and RVs. Open the windows, inspect the storage compartments, and look for any signs of leaks in the roof. Ideally you want to have taken advantage of some kind of covered RV storage through the winter, but even if you did, the roof should be checked. Check the water system. As long as you emptied it properly prior to storing, all you need to do is close the drain petcock and fill it. If you used RV antifreeze through the drinking water tank, pump, and lines, you’ll need to flush that system several times to remove it, before sanitizing the water system. Once the water system is set and the water heater is full, plug into power and turn on the refrigerator. Then, check the gas appliances (including the fridge on gas mode). Install new batteries in the smoke detector and the carbon monoxide detector. Also, check the fire extinguisher to ensure the needle is in the green. We are pleased to offer covered RV storage and vehicle storage at our facilities, and we invite you to visit our site to explore the options available at the location nearest you. and outing adventures in Texas and Arizona!